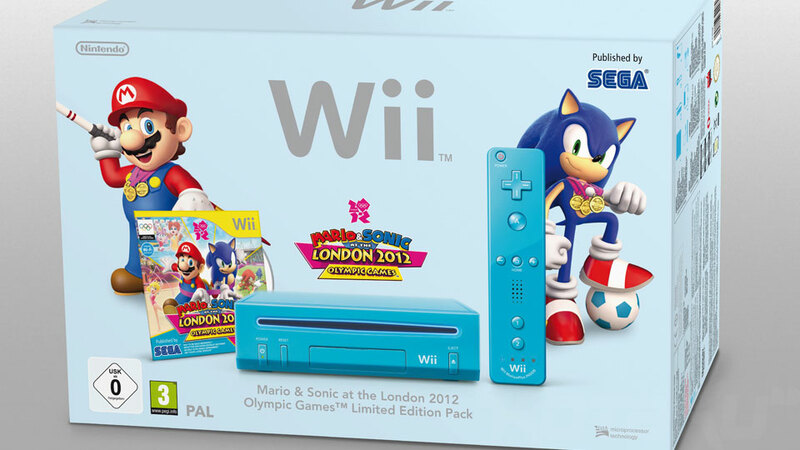 Nintendo UK has announced via a press release that it’s launching a blue Wii console to coincide with the release of Mario and Sonic at the London 2012 Olympic Games. The exclusive newly configured blue Wii will be available to purchase from 18th November. Anyone considering picking this up? I have always wanted a different coloured wii, but not being able to transfer all your downloads and certain save data is massively off putting. I’ll be enraged if there’s no way to transfer all my Wii content to the WiiU when that comes out. But because of the 3DS transfer tool, I’m pretty sure they’ll allow you to do it. Still, they should have a Wii Transfer tool now, for this very reason. yeah me too that wud be shocking!! like seriously shocking if you can’t transfer ur Wii game data. On a similar note, are we able to transfer our games that we bought from the Wii shop onto the Wii U? I think there was something about that a while back, has anything been announced? I mean, if we can’t that is just as stupid! Couldn’t you do it through SD cards? Yeh! I once wanted to put SSBB data on my SD card to go to my friends but thats one of the games that won’t work for some reson. Most games work but some don’t. A Blue Wii! I want one! you do not need 5 wiis. A prime example of ignorance. You haven’t bought any games for one of three reasons: 1) You’re poor, 2) You don’t like quality games, or most likely, 3) you are ignorant and therefore don’t know of many fantastic games released for Wii. Educate yourself before you post comments. Otherwise, you just look stupid. that is just wrong man. Don’t criticize him about being poor. I dont know if he is but still. Newly configured in what way? I’d be surprised if it wasn’t combatting homebrew. I wasn’t in need to buy another Wii because of the Wii U, but I must say, they hit my weak spot. I have been waiting for a clue Wii for a long time. If it comes to the US, I’ll get it even if I don’t like Mario and Sonic games (the sports ones). They had about 5 colors planned before the release. They should have released them at launch. I really want it but I just dropped my cash on the iphone 4S:/ Plus the white 3ds is an instabuy! I don’t understand. Everyone that wanted a Wii has a Wii. Its at the end of its life cycle and Zelda is its “Big Bang.” So why make a new console when WiiU is just right around the corner? I would buy it if they came out with a light blue version of the regular Wii console (the vertical one with GameCube compatability) here in North America. I like white! It’s nintendo style! Yes that would be sick! But id like a cobalt blue 3DS more then anything. this may be the one that i buy so i can have 1 in my room and 1 in the living room. I use my Wii instead of my GameCube, cos it outputs in better quality when the Wii is hooked up via Component cables. Forget getting this, even though I LOVE the color, I need it to play GameCube titles on. I guess it’s cool they’re making it cheaper, but really? Please come to America so I can buy it. I want a blue one!